In 1775 Lord Dudley promoted the building of the Dudley No. 1 Canal from Dudley to Stourton. Robert Whitworth was commissioned to survey the route and in 1776 an Act of Parliament agreed the construction. The first section was built from Dudley to join the canal from Stourbridge to the River Severn and later in June 1792, the Dudley Tunnel was completed to link the Stourbridge Canal to the Birmingham Canal. So, in 1792 the owners of Dudley No. 1 planned an extension of the canal via Netherton to Selly Oak, forming a new southern route and work began in haste in 1794. The Dudley No. 2 Canal was surveyed, constructed and opened in 1798. The 11 mile route crossed The Leasowes Valley with an 18 metre high embankment, the first of its kind to be constructed, while the high ground of the Woodgate Watershed was crossed by a 2.2 mile tunnel, one of the longest in the UK. 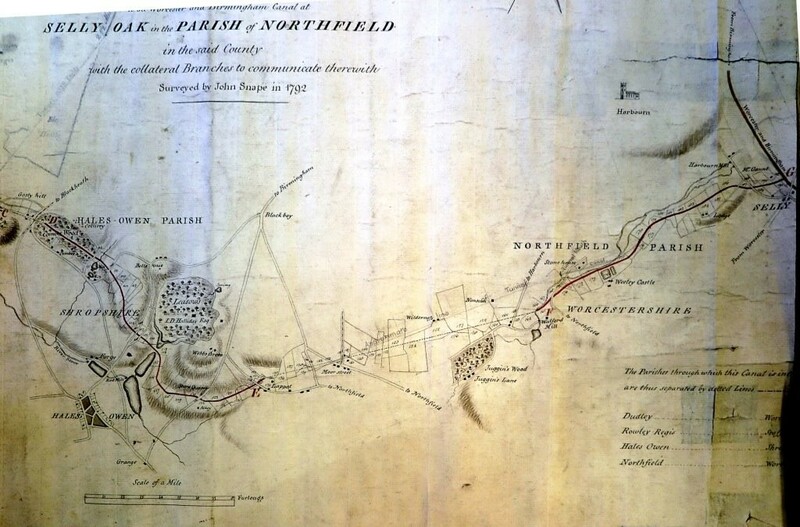 Below is the original plan of the canal made by John Snape in 1792. It currently rests in the National Waterways Museum in Ellesmere. In 1841, the Superintendent of the canal, Thomas Brewin, devised a very successful scheme which used a steam pumping engine and stop locks at either end of the tunnel to create a flow to speed up traffic; and in 1845 the amalgamation of the Dudley Canal and the Birmingham Canals was agreed, to avoid the canals competing and to help counter the commercial threat from the railway. 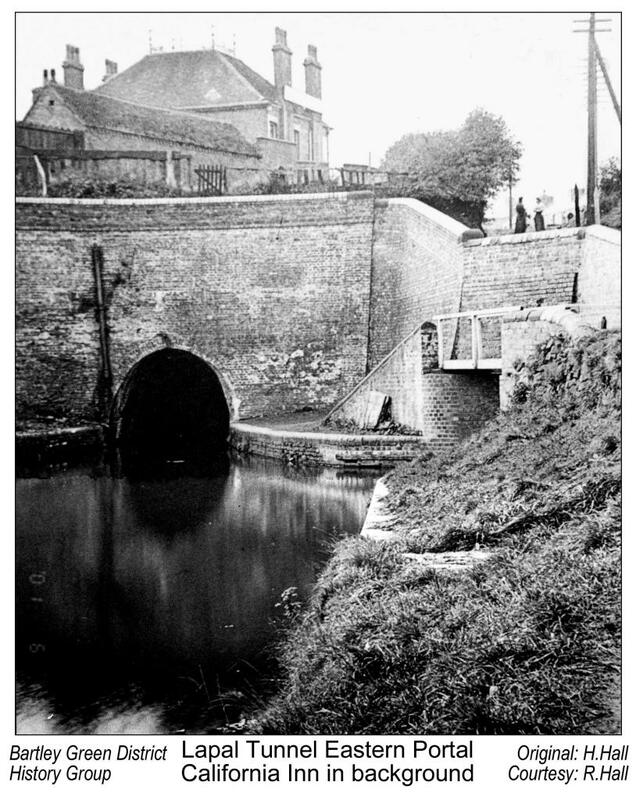 In 1846 the canal became part of the Birmingham Canal Network and in 1858, after 3 years of work, the Netherton tunnel was opened to improve on the Dudley Tunnel, this was the last canal tunnel built at a cost of £302,000. The Dudley No 2 Canal served for more than a century until it finally fell victim to some of the defects of its hurried construction. As early as 1801 the tunnel suffered the first of many collapses having unfortunately also been built through a geological fault, and then in 1917 there was a serious tunnel collapse which was deemed too costly to repair and resulted in the final closure of the tunnel and the end of full navigation of the canal. In 1926 the 5.5 mile eastern section from Hawne Basin to the Selly Oak canal was formally closed and in 1953 was finally decommissioned. But, having been disused and almost forgotten for over half a century, it now awaits sympathetic restoration using modern engineering solutions.